Douglas B. Gibbons, D.D.S., P.C. 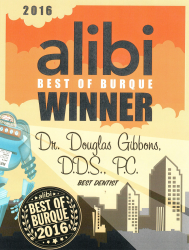 Since 1984, Dr. Douglas B. Gibbons has been working with patients to deliver the best dental care available in the Albuquerque area. The doctor's 30 years experience in dentistry is coupled with genuine concern and attention to detail for his patients. 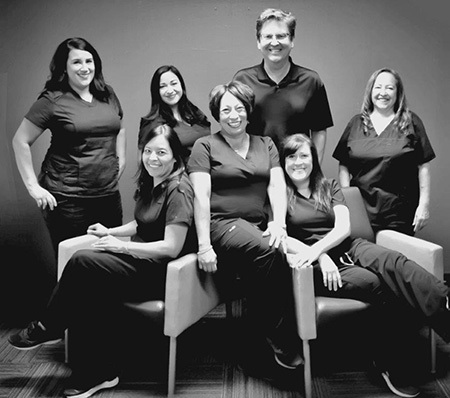 He has been voted one of Albuquerque’s “Top Dentists 2013 & 2014"
At our office we have combined expertise with a focus on patient comfort and a tireless work ethic to assure patient satisfaction. We take time to get to know our patients, we listen to your dental concerns and together, as a team, we accomplish the smile you desire. Our goal is to keep your smile healthy, youthful and bright. Most of our new patients are referred by our current patients. We're proud of this and strive to make each new patient visit the best dental experience possible. We know your time is valuable and schedule your appointment so that you can be seen quickly with minimal in-office waiting. We look forward to meeting your dental needs.